If its February, its time to go do workouts on Flagpole Hill. And that's what we did. Also I should mention that this was the week from hell at work. My project is in the final weeks. Tensions are high. Not fun. Anyway, Monday I met the gang at Flagpole Hill and we had a blast doing our workout. Tuesday I felt dead in the water, but managed to do 3200M in the pool. Normally I would do Hill workouts on Monday and Thursday, but this week Marissa had a soccer game on Thursday night, so I decided to do my hills on Wednesday instead. Thursday I did my eight mile loop. I should have been sore and run slowly, but I was so stressed out from work I did the loop in 60 minutes. Friday things simmered down and I got another 3200M in the pool. Saturday I slept late (0600) and then only had time for an hour run - which was OK. That said, I did the same loop as last week, but ran it 4 min slower. I probably needed the rest anyway. Sunday in a shocking and rare move, Terry suggested that we ride in the PM. So Terry, Vic and I did a nice ride down to and around White Rock Lake. Monday Feb 16 - Hills Wk 1 - 8 miles run. Wednesday Feb 18 - Hills wk 1 - 8 miles run. Saturday Feb 21 - 64 minutes, 7.8 miles run. Sunday Feb 22 - Ride to WRL with Terry and Vic (Ave 16,1; 3:19 ride time) - 53.8 miles bike. This week started out badly. I was still in pretty bad shape from the cold I got the week before. I had hoped to get in an easy run on Monday, maybe even do my circuits, but it never happenned. So I logged a rest day, the first since October 27! That rest day really made all the difference. Tuesday I did my circuits. And Wednesday I got in a full 3200M swim. That got me back on the road to recovery for the rest of the week. Circuits Thursday, 3200 Swim Friday. Saturday morning I was a bit pressed for time, but I got in a strong 60 min run. Sunday I had a bit more time. But I awoke later than usual. Terry and Vic were both out of town. I checked the RBM web page, and I saw that they had a ride leaving at 8:30. Although it was 8:30 when I checked, that was no big deal since they were riding toward me. However, it took me 45 min to get everything ready to go. I knew I would need to ride straight north to have a chance to get them in Lucas. And wouldn't you know it, as I rode up Winningkoff road, the group turned onto the road right in front of me. But they were about a quarter to a third of a mile ahead and they were at the top of a big hill and heading away from me. It took me four miles of hard riding before I finally got caught up! I managed to stay with the fastest group for the rest of the ride. That group broke off about ten miles later and hammered it all the way back to the bike store. I am sure that was the first time I managed to stay with that group all the way in. It was a great ride and good way to end a week with such a dodgy start! Monday Feb 9 - Rest Day. Saturday Feb 14 - 60 min run, 7.8 miles. If you are not following the action on BailoutSleuth.Com, its worth checking in. George W. Hamlin IV, president and chief executive of Canandaigua National Corp., said in a letter to shareholders that it was approved last month for $20 million in TARP funds. Hamlin said Canandaigua National did not need the extra capital, but added that it could be useful in spurring growth and funding new loans. He noted that the bank participated in a similar program during the economic crisis of the 1930s, selling preferred stock to the government to raise an additional $300,000. It redeemed the shares after five years. "Were today's program as simple and effective as that presented, now 75 years ago, we would likely be an enthusiastic participant,'' he wrote. Canandaigua National thinks that the true cost of the capital from the TARP program is higher than the stated dividend rate on the shares because of the extra cost of filing related government paperwork and registration statements with the SEC. Hamlin said the bank also objects to the restrictions on dividend payments and stock repurchases for banks receiving TARP funds, and on a provision that allows the government to alter the terms and conditions of the program. "Because we cannot anticipate what these changes might entail, we cannot properly plan for the use of this capital,'' he wrote. "The interests of the government may be contrary to the interests of our community and shareholders. The right of one party to unilaterally amend a bilateral contract is wholly inappropriate as a matter of common business practice and it would be foolish for any prudent business organization to voluntarily and intelligently accept such a provision." I like how George Hamlin IV thinks. I might just have to open an account at Canandaigua National. OK I have said this before, but Brooks running shoes are the BEST! If you have not already done so, scan a copy of your passport (and perhaps those of your family) and send yourself a google email with the attachment(s). Label it so it will be even easier to retrieve. That way, if your passport ever gets misplaced or stolen, anywhere in the world, you will be able to efficiently get a copy of it to parties that need that. This report is already what I consider a production report. Hence I believe this request should go to Dave who manages this report. I will go ahead and forward this to him. This report will be a gold report come March. We are going to create process for logging enhancement requests to gold reports as part of this project. If we meet our deadlines, we will have this completed at the end of March. So let me get this straight. There is no current process in place for requesting a change to a gold report. If the report has an error in it, tough beans. In six weeks we might have figured out a process to request a change in a gold report. And if that miracle happens in six weeks, THEN we could submit our request for a change at that time. And this makes sense how? For January it was back to building strength. So a pretty uneventful month. I have continued to run very strong. Finalists in the Pineywoods Soccer Extravaganza, Tyler Texas, Jan 2009. Monday it was raining and cold when I did my Circuits. I figured that I would get real wet when I did the crunches. Actually I was amazingly dry! Just wet hands from pushups and burpees. Tuesday it was also raining, but Tuesday is a swim day! However the rain was turning to freezing rain. Wednesday was looking like Dallas was going to be iced in. I was scheduled out on the first flight to Houston. Not good. So instead of my usual lunch time swimfest, I reorganized my plans, went home, packed, went the airport, got the last flight to Houston, which was late AND it had to be deiced. I was pooped by the time I got to Houston at 9pm. But I went to the gym anyway, but only managed 1000 meters. Wednesday I felt better so I mapped out a few runs from the hotel and then improvised a bit trying to get a perfect 8 miler. Well it turns out I misjudged and did nine miles instead. The truly shocking part is that I did the 9 in 62 minutes. Now that is much, much faster than I have been running my Wednesday runs. Thursday I did my circuits in Houston and flew back to Dallas, which had thawed. Friday I got my usual swim in, unlike Tuesday. 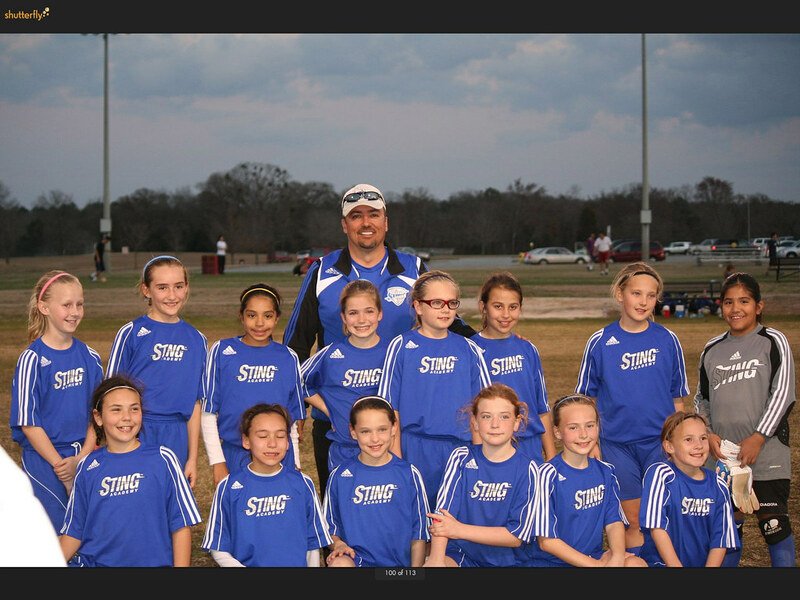 But just like Tuesday, I had to drive to Tyler on Friday night, as the kids were all playing in a soccer tournament. At 11:30 Friday night, I remembered that I forgot my teams paperwork at home. So I drove back to Dallas and then back to Tyler, finally getting to bed at 4:00am. And then up at 6:30am to get Reagan fed and to the field at 7:30. After five more games, we got back to the hotel at 6pm and I managed a 30 min run. Sunday morning I got up at 7 and did the same run. It was all I could do! Then six more games Sunday followed by the drive home. Wow! Three workouts were cut short by travel. That said, I could probably use the rest. Monday Jan 26 - circuits week 4 - plus 80 pushups, 140 crunches and 16 burpees (164) in the rain. Wednesday Jan 28 - 62 min, 9 mile run. Thursday Jan 29 - circuits wk4 plus 80- pushups, 140 crunches and 16 burpees. 5.5 miles run. Saturday Jan 31 - 30 min, 3.5 mile run. Sunday Feb 01 - 30 min, 3.5 mile run.